Geovista supplies a resistivity/temperature meter for mud and mud filtrate. To better evaluate formation characteristics from electric logs, it may be desirable to control the resistivity of mud and mud filtrate. Resistivity Meters are electronic meters used to measure the resistivity of fluids, slurries or semi-solids. 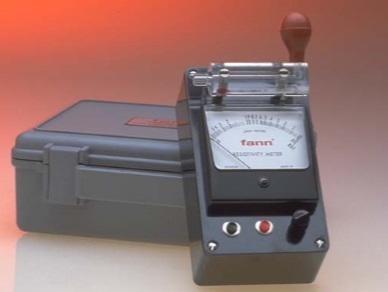 These instruments feature solid state electronics, and are designed to meet the needs of field and laboratory personnel for resistivity measurement according to API standards. The Resistivity Meter is a solid-state, electronic meter used to measure the resistivity of fluids, slurries or semi-solids that have resistivities of 0.01 to 10 ohm·meters/meters². The instrument features a transparent sample cell with a built-in thermometer.